c. 6 officers, 60 enlisted men; cl: "Balao"
Serving as Museum Ship at Patriot's Point, Charleston, South Carolina. 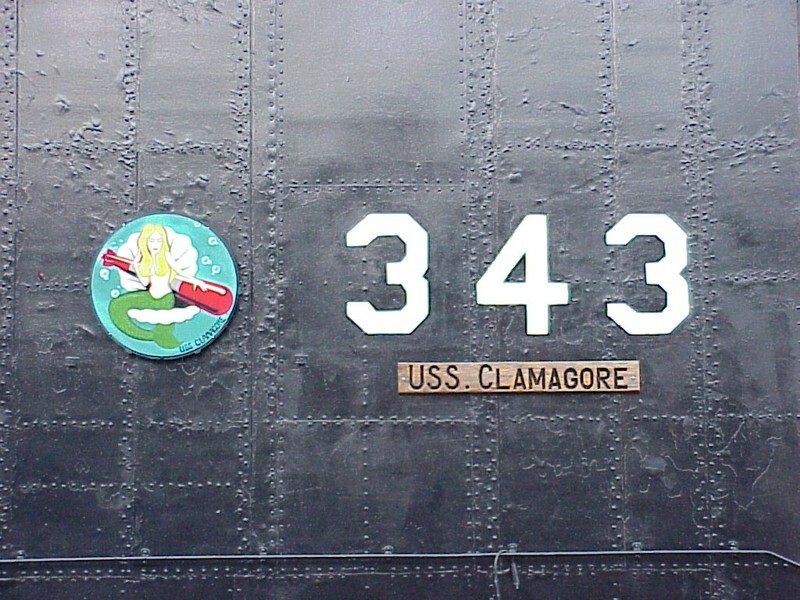 World War II came to end while USS CLAMAGORE (SS-343) was on a training cruise off Panama. 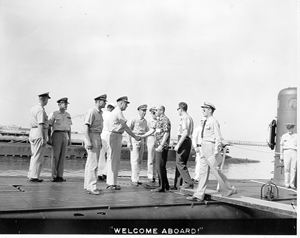 In January, 1946, CLAMAGORE became Flagship of Submarine Squadron FOUR based in Key West, Florida. CLAMAGORE carried the Squadron Flag until 1 August 1959. The U.S. Naval Shipyard, Philadelphia, Pennsylvania, was the site of CLAMAGORE's conversion to high speed GUPPY II (Greater Underwater Propulsion Power) submarine in the spring and summer of 1948. During this conversion, she received the snorkel installation. 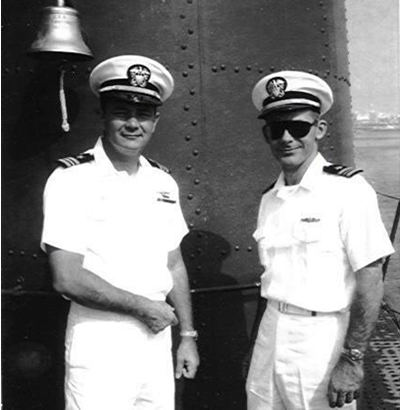 During 1949 Fleet Tactical Exercise, CLAMAGORE was accorded the honor of being selected Flagship for Vice Admiral Duncan, USN, Commander Task Fleet, and Rear Admiral Fife, USN, Commander Submarine Force, U.S. Atlantic Fleet. During 1955 CLAMAGORE made two trips to Guantanamo Bay, Cuba, rendering services to the Fleet Training Group for the periods 25 March to 25 April and 22 August to 16 September. Other ports visited during 1955 were Havana, Fort Lauderdale, and Pensacola, Florida. In November CLAMAGORE entered Charleston Naval Shipyard for installation of a new battery. Upon leaving the shipyard in February, 1956, CLAMAGORE returned to Key West for operations. She visited Tampa, Mayport, and Miami, and Havana and Guantanamo Bay, Cuba; prior to entering the Charleston Naval Shipyard in September, 1956, for a regular scheduled overhaul. The overhaul was completed in February, 1957, and CLAMAGORE went to New London Connecticut and Newport, Rhode Island prior to returning to Key West. A trip to Guantanamo Bay, Cuba preceded an extended cruise to Portsmouth, England, which was followed by liberty in Argentina, Newfoundland, on the return to Key West in December. In February, 1958, CLAMAGORE participated in ASWEX 1-58. 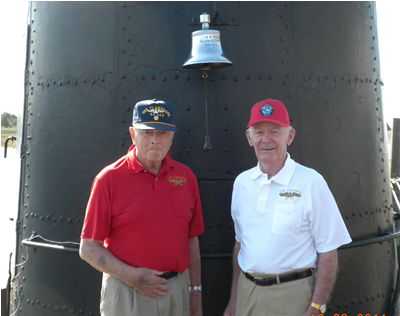 From June to August, CLAMAGORE was in Charleston Naval Shipyard for a battery renewal. During the local operations from Key West, V visited Savannah, Mobile, Alabama; and Tampa and Fort Lauderdale, Florida. Local operations from Key West and a trip to Guantanamo Bay, Cuba were made from January to April, 1959. In April, CLAMAGORE participated in Exercise LANTBEX 1-59 and returned to Key West in June. 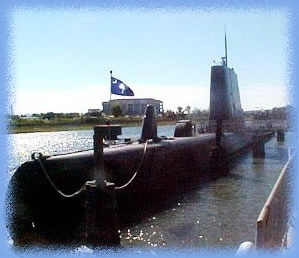 The arrival of CLAMAGORE at Charleston Naval Shipyard for an overhaul on 29 June coincided with the change in home port of Submarine Squadron FOUR to Charleston. Overhaul was completed in December. From April to July, 1960 CLAMAGORE served with the U.S. Sixth Fleet in the Mediterranean. During January and February, 1961, CLAMAGORE participated in operation Springboard in the Caribbean. 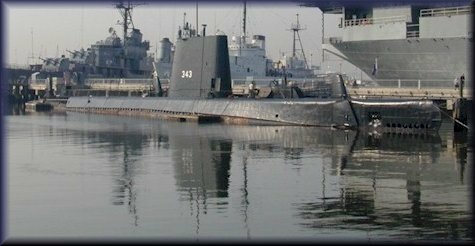 From August to December, 1961, CLAMAGORE participated in Operation UNITAS II which was a-joint antisubmarine warfare training exercise with eight South American countries: Argentina, Brazil, Chile, Colombia, Equador, Peru, Venezuela and Uruguay. During this cruise CLAMAGORE steamed around the southern tip of the South American Continent. CLAMAGORE entered Charleston Naval Shipyard in May, 1962, for conversion to a GUPPY III type submarine. During this conversion, the ship was cut in half and a 15 foot, 55 ton section was added. The latest and most sophisticated electronics and fire control system were also installed. On 2 July 1962 the new hull section was christened by Miss Ann Beshany, 16-year-old daughter of Captain P.A. Beshany, then Commander Submarine Squadron FOUR. The conversion to a GUPPY III was completed in February, 1963. 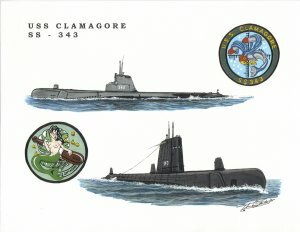 On 1 June 1963 CLAMAGORE changed homeports to New London, Connecticut at which time she was transferred from Submarine Squadron FOUR to Submarine Squadron TWO. During January and February of the following year, CLAMAGORE participated in Springboard, 1964, visiting San Juan in Puerto Rico and Saint Croix in the Virgin Islands. In late May she entered Portsmouth Naval Shipyard for battery renewal. Leaving the shipyard in July, CLAMAGORE visited Portsmouth, England in September, 1964. After an extended cruise, CLAMAGORE returned to New London in November, 1964. In early April, 1965, CLAMAGORE departed New London for a joint NATO operation south of Iceland with British, Dutch, American, and French submarines and aircraft. Upon completion of the very successful exercise, CLAMAGORE visited Londonderry in Northern Ireland in late May, 1965, for a wash-up conference. Following her return to New London in June; CLAMAGORE entered the Philadelphia Naval Shipyard on 23 July 1965. During this overhaul, CLAMAGORE received an extensive repair of its hydraulic system, the installation of the STEINKE Escape System, the modernization of its fire control system, and the overhaul of its main propulsion motors and generators. These and other repairs cost approximately $1,650,000. This shipyard overhaul was completed on 19 January 1966. In early 1966 the CLAMAGORE was devoted to Springboard deployments and various other operational tasks. In March of 1967 CLAMAGORE entered Portsmouth Naval Shipyard for main battery renewal. Upon leaving the shipyard she rejoined the fleet for a Mediterranean deployment. She returned to New London in late 1967 and in March 1968 left for extensive operations in the North Atlantic. Her efforts resulted in her eight Battle "E". 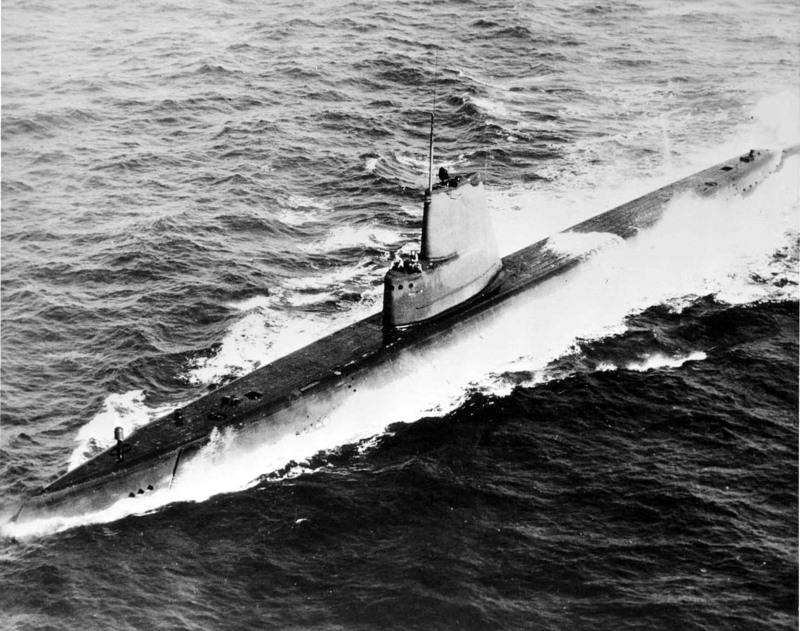 After the 1968 overhaul in Philadelphia CLAMAGORE was engaged in type training, SSBN training cruises and local operations. In August, she headed south toward Bermuda where she participated in SUBASWEX 4-69. After more local operations out of New London, she returned to the Virgin Islands for a Weapons System Acceptance Trial. 1970 began with another Springboard deployment followed by a battery renewal. Another Mediterranean deployment followed the shipyard period where she operated extensively with aircraft, surface craft, and submersibles from various allied navies. CLAMAGORE then operated up and down the coast from Halifax, Nova Scotia to the Virgin Islands during much of 1971. September of 1971 found her engaged in operations in the Norwegian Sea. She spent the remainder of the 1971 in New London in upkeep and preparation for her scheduled overhaul. The 1972 overhaul was accomplished in Philadelphia. This major effort was completed in June, one month short of schedule. The remainder of 1972 was devoted to a two-month deployment to the Caribbean encompassing refresher training, type training and a highly successful Weapons System Acceptance Trial. November 1972 saw the satisfactory completion of Successful Nuclear Weapons Acceptance Inspection. In 1973, a month of local operations preceded a restricted availability at Portsmouth for main battery renewal and a main engine replacement. During the availability, preparations were begun for the upcoming UNITAS XIV deployment. CLAMAGORE decommissioned 12 June 1975 and was struck from the Navy List on 27 June 1975 and now serves as a Musuem Ship at Patriot's Point, Charleston, South Carolina. Perhaps you might want to put these on your "historical" photos portion of the Clamagore Veterans Association. photo 1- Jack Heard is directly behind the handshake grasp of the two men in the foreground. I don't know the occasion. 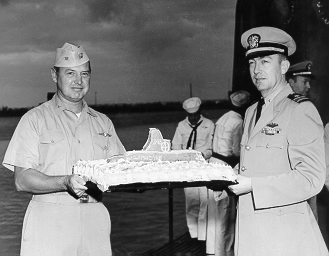 photo 2- probably June of 1956 in Key West when he became CO. Looks like the cake has a submarine on it. I believe I was there if I'm recalling this correctly.... don't they throw the new CO off the side? I do remember that pretty well because it scared me!